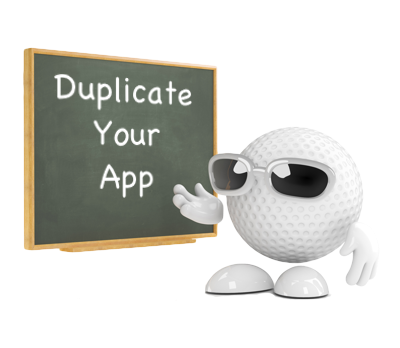 The iCaddy build framework allows you to easily duplicate your App. Duplicating a completed App minimises the effort required to convert the App to the alternative target platform (e.g. from iPhone to Android and vice versa). Simply set the target platform (for the duplicated App) to the platform not yet developed. After duplicating your App, go to How to Convert Your App's Platform for further information on how to finalize the platform conversion process. From the Application's 'Dashboard' click 'Duplicate this app'. 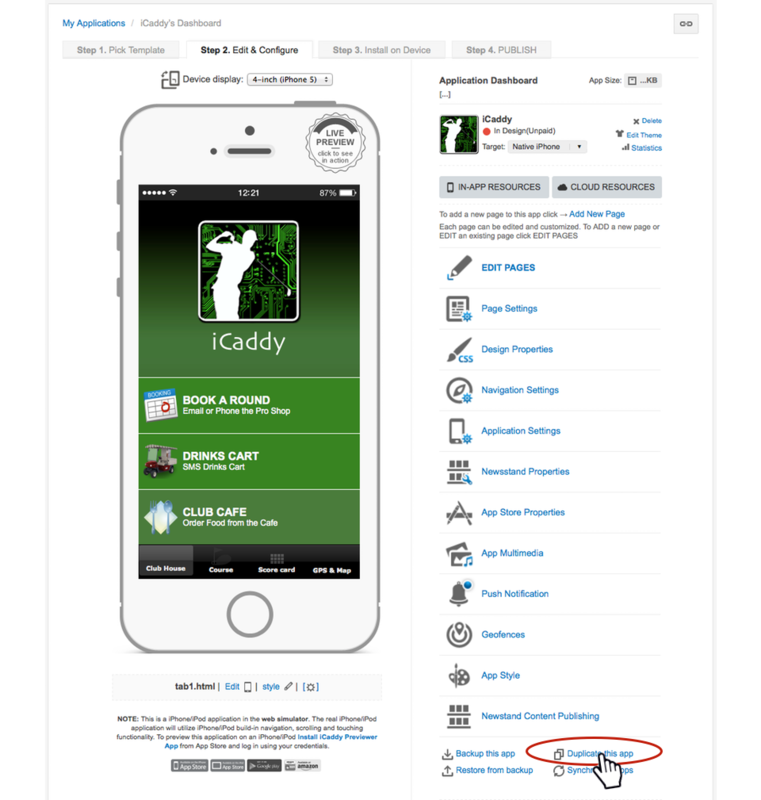 In the example shown below, we are duplicating an iPhone App to an Andriod App. The 'Duplicate' window will appear as shown above. 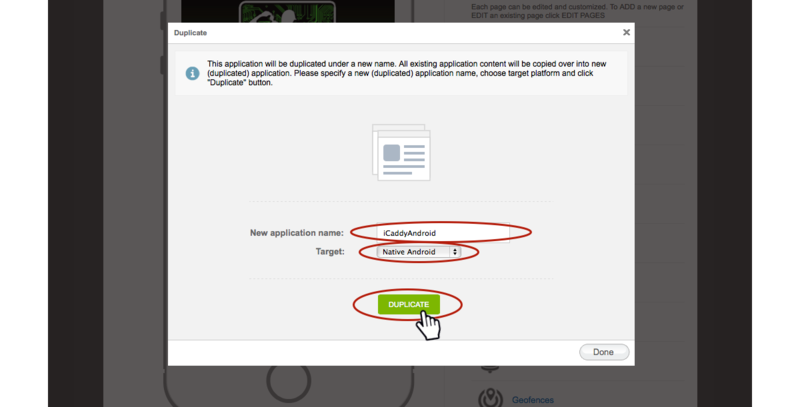 Rename the application in the 'New application name' field. Note: The application name must contain only numbers and letters with NO SPACES (e.g. SunshineGolfClub). The application name entered in this field is for internal reference purposes only and is not related to the Application name listed on the App Stores (i.e. iTunes and Google Play). Select the desired target platform (e.g. 'Native Android' when converting from iPhone to Android). A confirmation message will display to confirm the new App has been created successfully. Click 'Done'. 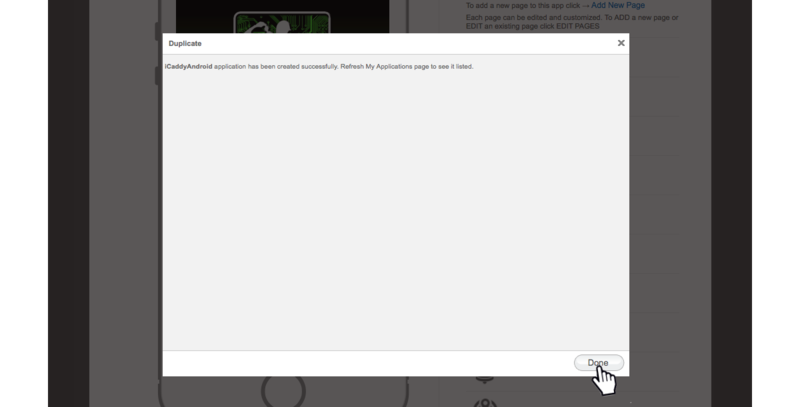 The new (duplicated) App will be listed when you return to your 'My Applications' list.